First time exhibitors RG Allen & Sons were awarded Grand Champion Pen of 5 steers with a pen of Angus steers at The Land’s 2017 Beef Spectacular Feedback Trial, as Angus and Angus influenced cattle were prominent throughout the awards. Held in conjunction with Teys Australia, the Beef Spectacular Feedlot trial attracted entries from stud and commercial producers from New South Wales, Queensland and Victoria. A total of 75 teams from 43 vendors equated to 375 head in the 2017 trial. In their first year of competition, RG Allen & Sons, Mortlake VIC, took out the coveted title of Grand Champion Pen of 5 steers, as well as the Teys Certified Premium Black Angus Champion Pen. Having only recently returned to the cattle business, RG Allen & Sons, representative, James Knight said that they had entered the competition in order to benchmark their cattle and to receive feedback on their breeding direction. The Reserve Champion pen of Five Steers was awarded to the Minnamurra Pastoral Company, Boggabri NSW, for their Angus cross pen. A different pen of 5 Angus steers, also exhibited by Minnamurra Pastoral Company was awarded the Riverine Premium Beef Champion Pen. 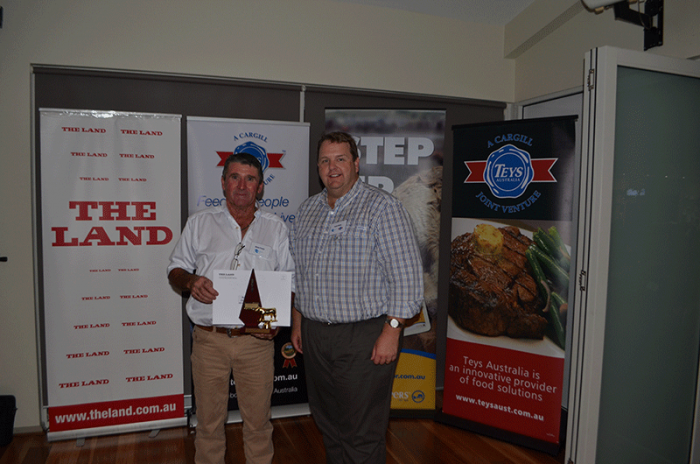 Reserve Champion Pen of 5 steers Dennis Power, Minnamurra Pastoral Company, Boggabri with Grant Garey, General Manager, Feedlots and Southern Grain Fed, Teys Australia, Brisbane. 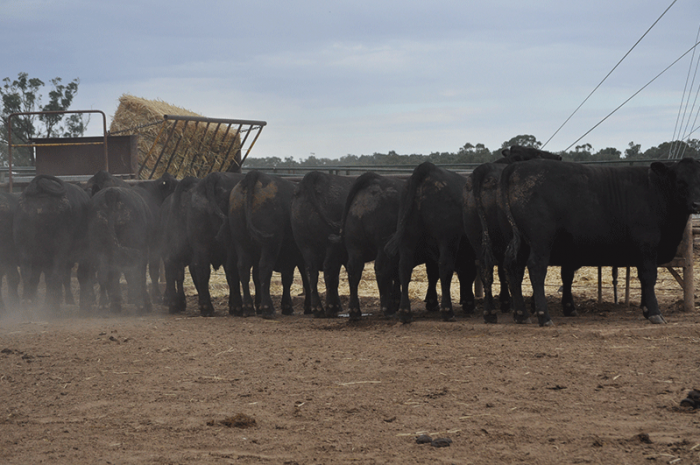 RG Allen & Sons Angus steers from RG Allen & Sons in the Teys Australia Jindalee Feedlot. 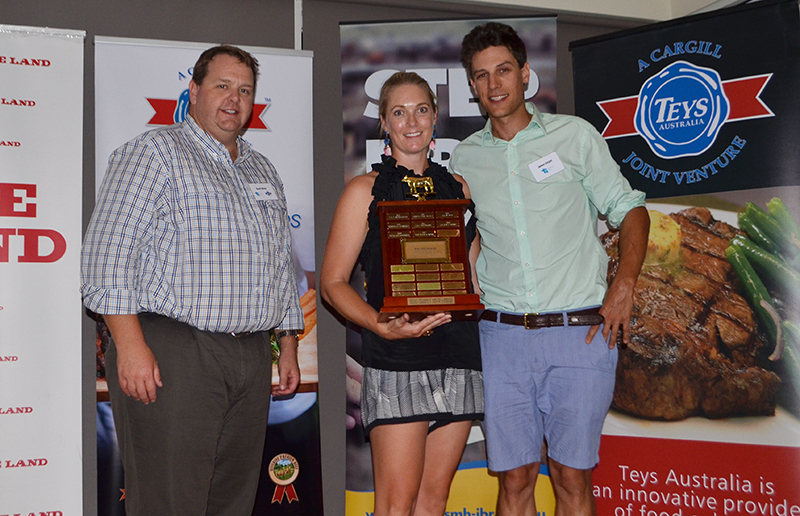 1st Place Feedlot Performance Gavin and Kristie O'Brien, Gilmandyke Angus, with Brett Kowitz, Coopers Animal Health. 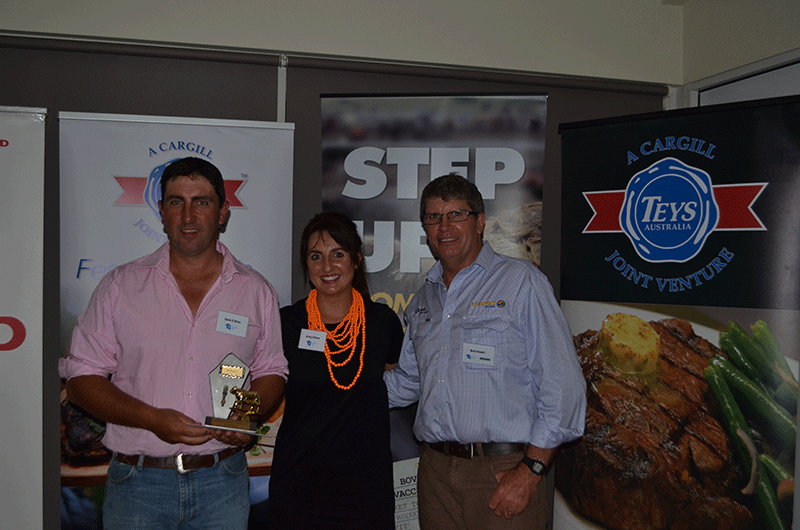 2nd Place Carcase Performance Lex & Sally Crosby with Coopers Animal Health representative, Brett Kowitz. 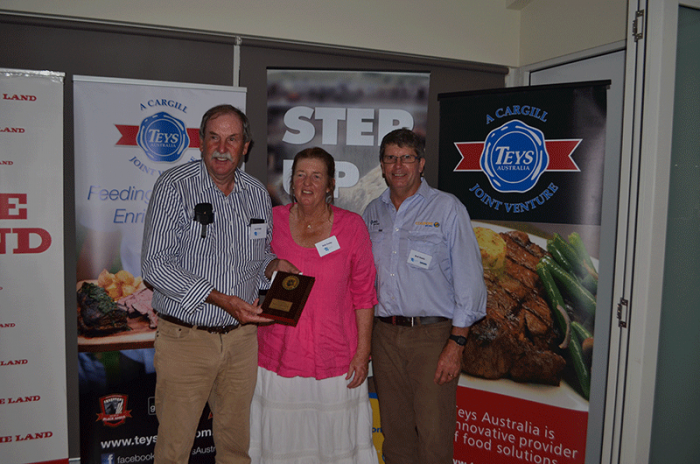 Grant Garey, General Manager Feedlots and Southern Grain Fed, Teys Australia presents Georgia and James Knight, from RG Allen Sons with the award for Grand Champion pen of 5 steers at The Land 2017 Beef Spectacular Feedback Trial.